Look at that studious bunch in the front row of the ACA Standards Update workshop. Photo: Camp Alleghany for Girls. Late last week we attended the American Camp Association (ACA) Standards Update Course, a one-day workshop that’s required for each ACA-accredited camp. This means that at least one person from each camp must attend in the months prior to the next accreditation summer in order to be up-to-date on all that is required for ACA compliance. Because each camp will be visited by the ACA as part of the accreditation process, the course basically reminds us what to expect when preparing for and then undergoing the visit. The Standards Update course also gives us any updates or things that have changed since our last accreditation visit three summers ago. One of the great things about this all day course is that we can explore ideas and interact with ACA peers on various camp issues. This allows us the opportunity to ask questions, clarify any standards that may be confusing, and learn about all the resources available to us as we prepare. One of my duties as Assistant Director at Camp Alleghany is to be the point person for accreditation, but it’s really a team effort, so I took with me Sam, Taylor, and Garrett this time. This is what the ACA accreditation badge looks like, which you can see on the front of our website! To be frank, the accreditation process is daunting, overwhelming, and detailed, but having a great team makes it easy, a shared process where we can all support each other in meeting the individual pieces. Fortunately, ACA representatives really emphasize that this is not a scary thing, just a thorough one, and we should never feel nervous or scared. It simply boils down to that we’re getting visited and reviewed by our peers, a helpful outside eye that is coming to help us meet and exceed the top camp industry standards. And we love to do that! One way they try to ratchet down our nervousness is to simply call the review a “visit” and the reviewers “visitors” rather than “inspection/inspectors” or some other word with fearsome connotations. I understand their approach, but being the perfectionist I am, I still get a little nervous about it . I want us not just to pass, but pass with flying colors — which we typically do! This reminds me of when I was a school counselor and I was the test coordinator for the SOLs at one of my schools. It was a very overwhelming job but I got it so organized that it ended up being a very satisfying project and challenge for me. So when you see that we are an accredited ACA camp you should know that it means there’s a set of standards that camps need to adhere to in order to earn accreditation. Camps must pass 80% in each category, but we don’t know how each standard is weighted, so we really just have to strive to pass (and exceed) every standard. The process is a combination of paperwork and documentation as well as things that the visitors need to see when they come on site. For example, when asked, we need to readily show documentation for our arrival and departure procedures, or for certain policies like infirmary protocol or transportation procedures. But in terms of visibility, things a visitor would need to observe when they come is that we have clearly identified emergency exits out of our buildings, or that we use up-to-date lifeguards, etc. The ACA visiting team is made up of fellow camp directors who spend most of the day touring, eating a meal, talking to people at camp, and then reviewing paperwork. So far we’ve passed each year, so we’re not worried, but we do like to have everything in good order! I’m sure we’ll blog more about this later, like when we’re getting ready for our visit, or what happened on the actual day this summer when the visit happens. So stay tuned…and wish us luck! Elizabeth is the Director of Camp Alleghany for Girls, the third generation member in her family to hold this position. But she also spent her childhood (ages 7-16) as 'Ghany camper, then held various counselor positions, and spent a decade here as the Assistant Director. She has a Masters in Education and Human Development and is a former School Counselor. Elizabeth lives in Staunton, Virginia during the "off-season" with her husband Matt and sons Mason, Ellis, and Noah. In addition to staffing, enrollment, program planning, outreach, and camp management duties, she helps keep the website current, writes and updates camp literature, and oversees the blog. 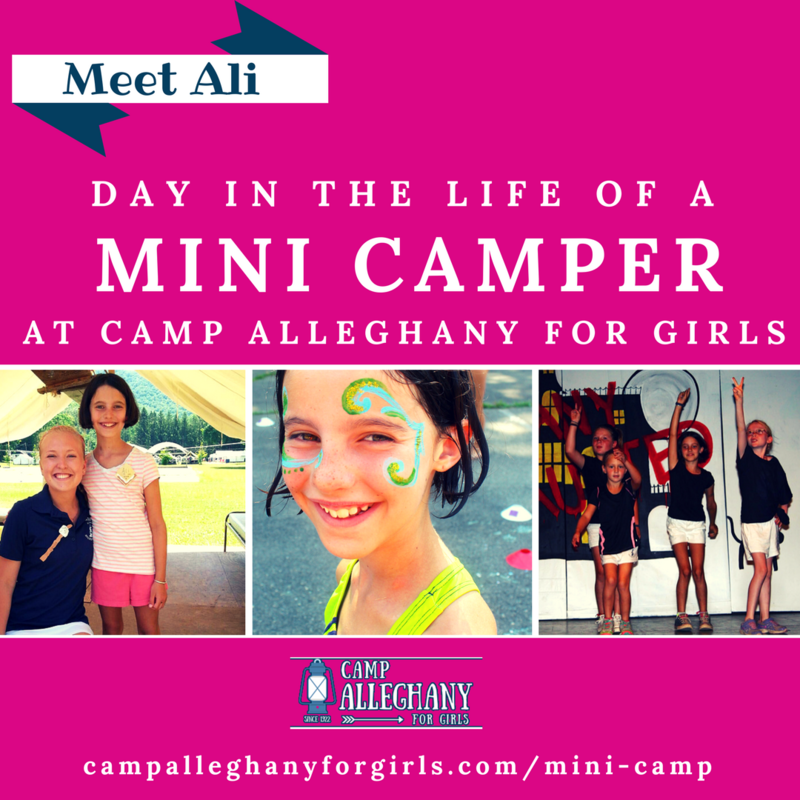 Is your daughter ready for sleepaway summer camp? Our E-book offers insight into this and more! 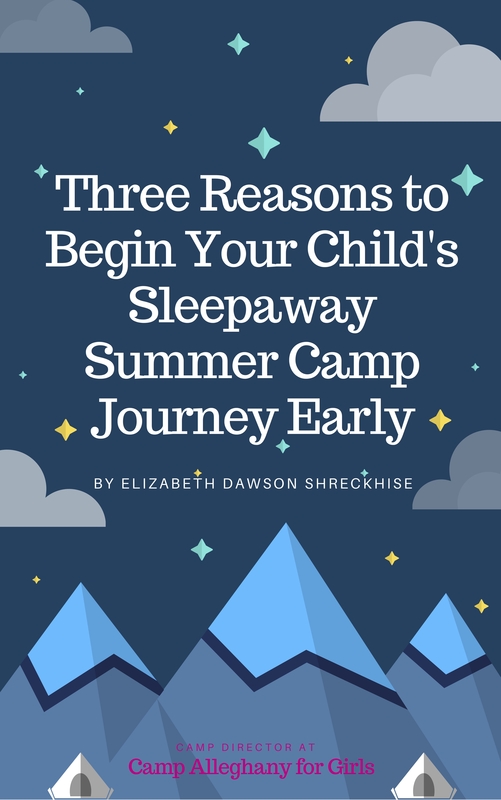 3 Reasons to Send Your Child to Camp. Your e-mail is safe with us.